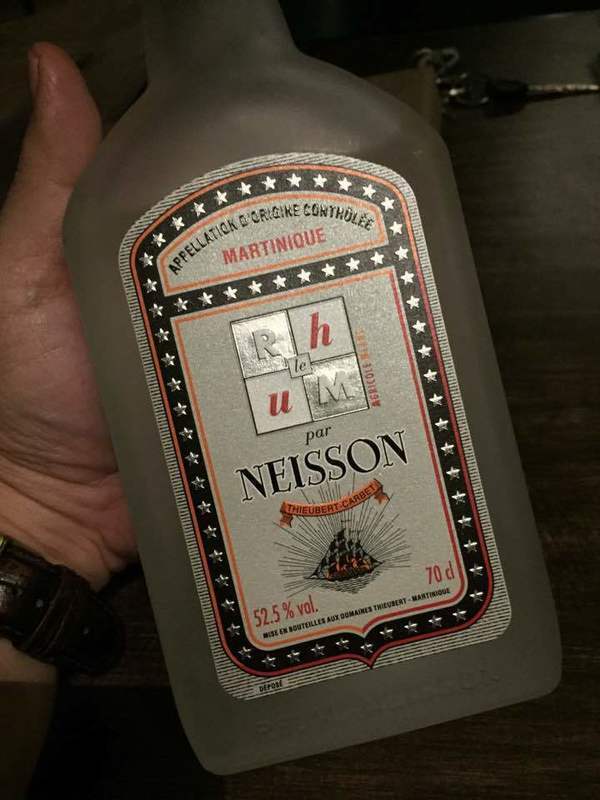 Have you found an online vendor selling Neisson Le rhum par Neisson? 52.5% ABV. Wow… hugely wet-grassy nose, some creamed corn. A little like what I've tried from Marie-Galante. Mellows fairly quickly, but maybe that's just my nostrils. Full-flavored taste. Brine, sugar cane, moderately dry. Tremendous mouth feel. Medium finish. Continues to mellow and sweeten over time. Excellent rum! Naprosto unikátní vůně s jemňounkou, vycizelovanou chutí způsobila tak rychlé vypití lahve, až mi to chvilku bylo trochu líto:). Já osobně jsem příznivcem divočejších chutí (Clairiny, Bielle), ale od toho okamžiku souhlasím, pokud si to mohu dovolit, s Lucou Garganem, který v jednom ze svých dřívějších rozhovorů, zařadil rumy Niesson na první místo svého rumového žebříčku. White rhum weighing in at 52,5% vol. Bought with the intention of making a bloody good ti punch, and this rhum delivered. The nose is so unique and intense with fruity notes of lime, mango, papya, coconut and newly cut grass. Trying it neat, this Neisson delivers a pure and powerfull mouthfull with notes of coconut, lime, mango and white pepper exploding on the tounge, leaving a dry feeling as the residue evaporates. It's bloody good and makes for a phenomenal ti punch. Dangerous drink. Odeur extrêmement fruitée laissant espérer un rhum hors norme. Malheureusement, l'ensemble de cette composition ne se retrouve pas dans le gout. Ce rhum est équivalent en gout à un Neisson blanc classique.